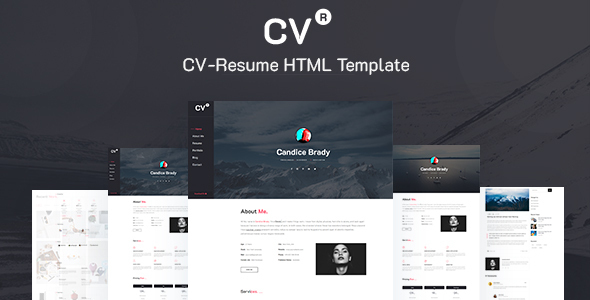 Maha CV / Resume HTML Template Maha CV / Resume Template is a premium tool to promote yourself. Ready to look stunning on any device from a widescreen monitor to a mobile phone. 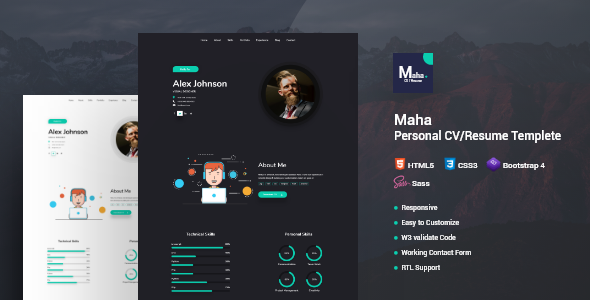 It’s creative, minimal and clean design. 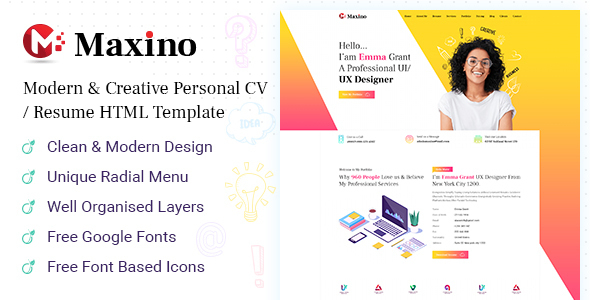 Maha CV/Resume Template suitable for anyone who wants to have a personalized resume or online Portfolio. 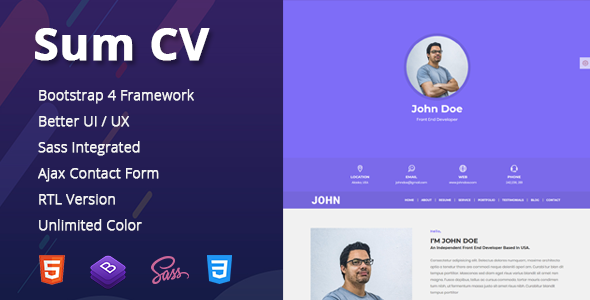 Description Sum is a Resume / vCard / CV / Portfolio HTML Template. 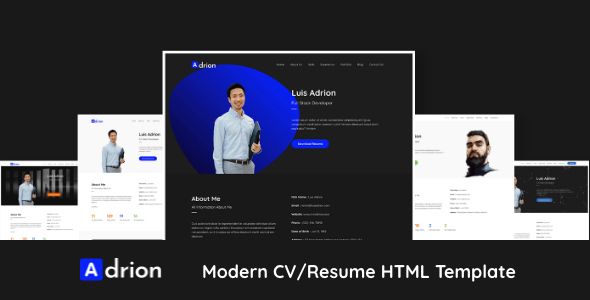 It’s a modern, elegant and creative HTML5 Resume Template. 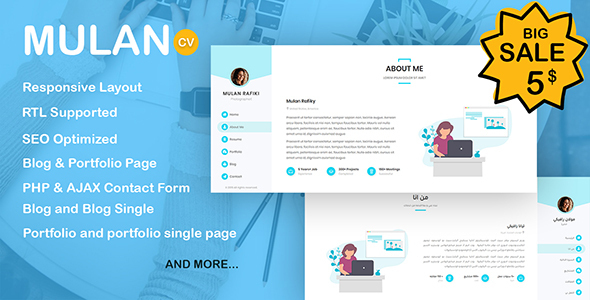 Sum Code is based on Latest Bootstrap 4, npm and Powerfull grade css extension Sass. 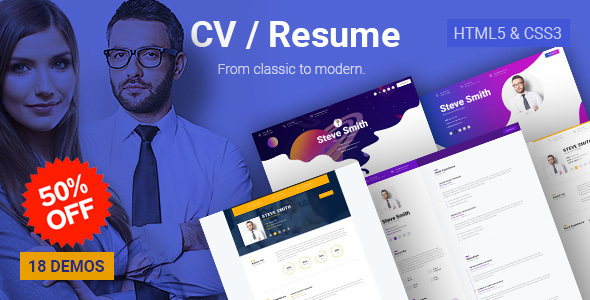 100% Responsive Design Compitable with any Devices (Desktop, tablet, mobile phone). Well commented and clean SEO Friendly code.